If you are looking for better Electra jailbreak then congratulation you have landed on the right page. We here at Techfire keep on coming with the whole bunch of new tweaks so we have once again come up with a new tweak. In this blog, we will be talking about unc0ver jailbreak which has just been released for iOS 11.0-11.4.1. We will be also talking about how you can download this jailbreak for iOS 11.0-11.4.1. Unc0ver is one of the latest jailbreaks which at the same time is the best alternative for Electrajailbreak. It is developed by pwn20wnd and Sam Bingner. This new jailbreak tool has been added with new features. 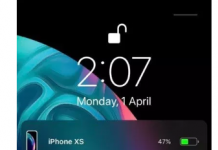 The main features of unc0ver jailbreak are given below. 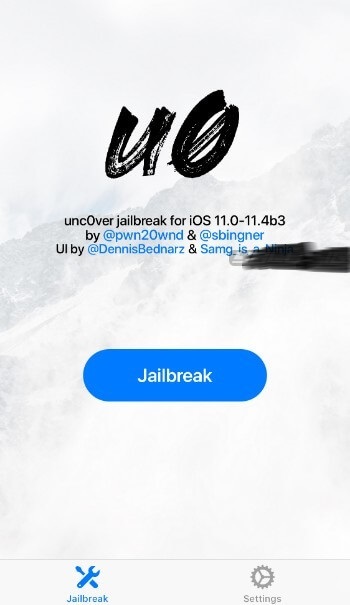 unc0ver jailbreak can be easily said that it’s a successor to Coolstar jailbreak. All the below version is supported by unc0ver. RC2 – Supports iOS 11.4 Beta and Dynastic Development repo is now default in Cydia. RC3 – Restores root filesystem option and bug fixes. RC4 – Displays uptime and remove custom fonts. RC5 – Fixes videosubscriptionsd daemon crashes, update checker, and unsupported message. RC6 – Fixes multipath exploit and improved memory management. RC7 – Fixes RootFS restore issue (snapshot storage glitch) and improves the success rate of multipath exploit. RC8 – Fixes snapshot error messages, adds a warning to iOS 11-11.1.2 and iOS 11.4 Beta versions. 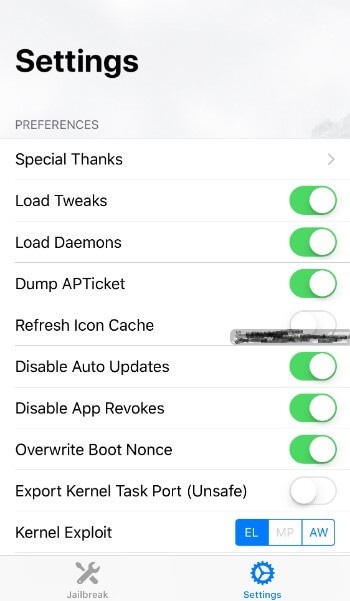 RC9 – Fixes the restart loop bug, adds detailed error messages, an option to increase memory limit for better reliability, and a compatibility layer for tweaks that were originally developed for Electra jailbreak. V1 – Fixes “RootFS Restore” on all firmware versions, filesystem snapshot bugs, UI enhancements, and minor fixes. Issues on beta version persist. V1.0.1 – Disables RootFS Restore option for iOS 11-11.1.2 and fixes other minor issues. 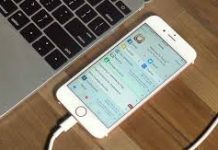 V1.0.2 – Improves the RootFS Restore feature on iOS 11-11.2.6. Some beta versions are still not working properly. V1.0.3 – Fixes beta firmware compatibility. V1.1.0 – Automatically selects the best exploit for your device and firmware combination, improved memory management, and other performance improvements. V1.1.4 – Minor performance enhancements. V2.0.0 – Initial Cydia Substrate compatibility, OTA upgrades for jailbreak patches, a new SpringBoard restart button, switch to reinstall OpenSSH/Cydia/restart backboardd, battery life fixes, and other bug fixes. V2.0.1 – The official release of v2.0.0 to make tracking easier. V2.0.2 – Bug fixes in the app, improved jailbreak speed, new revoke blocking method. V2.1.0 – Adds T-Mobile carrier support to the anti-revoke code, makes possible re-jailbreaking without rebooting, makes jailbreak process faster, updates resources, and other minor improvements. V2.1.1 – Increases jailbreak rate, cleans the Cydia user data when using RootFS Restore, better memory management, and some minor bug fixes. V2.1.3 – Fixes patch finder on specific iOS firmware versions, introduces a new versioning system and makes downgrades possible from future versions. V2.2.0 – Bug fixes and performance improvements. V2.1.4 – Reduces the size of the app from 63MB to 22MB. V3.0.0 – iOS 11.4 and 11.4.1 support added with the voucher_swap exploit. Step 1 Download the IPA file of the latest version using the download link above. Alternatively, you can download it directly from Ignition signing service. Step 2 (Optional) Open Cydia Impactor. Step 3 Drag the IPA file downloaded in step 1 to Cydia Impactor’s window. If you are using Ignition, simply tap the Install button and then confirm it to install the app on your device. Step 4 Wait for Cydia Impactor to install the app on your device. Once the installation completes, the app will appear on your home screen. If you have downloaded the app from Ignition installer, skip this step. Step 7 Open unc0ver app from your home screen. Wait for 30 seconds and tap Jailbreak to jailbreak your device. Step 8 Give the app the necessary permission to restart your device. Wait until it reboots your device and runs Rollectra, which removes tweaks and device’s settings without tampering with the user data (photos, videos, etc). This should take around five to six minutes at most. Step 9 Open unc0ver app again and wait for about 30 seconds. Tap Jailbreak again and wait for the exploitation to begin. 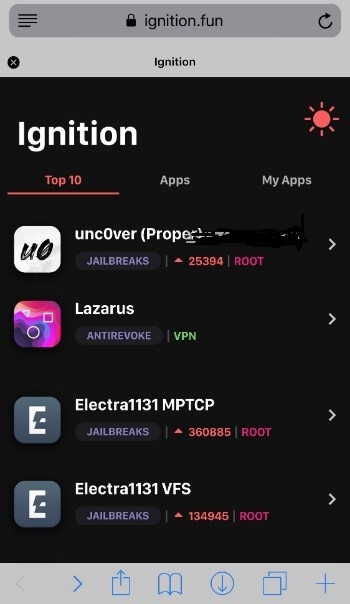 The jailbreak tool will now perform 48 exploitation operations to gain root access on your device. Step 10 When the progress bar hits “24/48”, the app will prompt you to reboot your device. Tap Reboot, reopen the app and tap Jailbreak once again. Your device will restart at least twice during the process. The number of reboots can be higher if the exploit fails. Step 11 Cydia will be installed on your device once exploitation finishes. You can then open it from your home screen and install the desired tweaks and jailbreak packages. There are various utilities which have been discussed below and which unc0ver offers. Load Tweaks – Enables substrate mode. Load Daemons – Enables daemons. Dump APTicket – Dumps onboard blobs. Refresh Icon Cache – Refreshes icon cache. Enable this if an app icon is missing from your home screen. Disable Auto Updates – Disables automatic over-the-air updates. Disable App Revokes – Disables app revokes. Overwrite Boot Nonce – Overwrites the boot nonce. Export Kernel Task Port (Unsafe) – Exports the kernel task port. Kernel exploit – Selects the kernel exploit. Boot Nonce – Displays the boot nonce of your device. 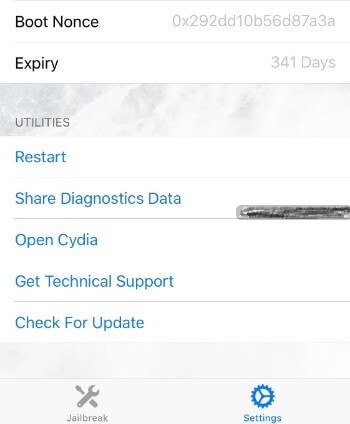 Expiry – Displays the expiry time of the jailbreak app’s certificate. If you sign the app using your certificate, the expiry time will be seven days. For enterprise certificates from signing services or app installers, your app will remain signed for a year (365 days). Restart – Reboots the device. Share Diagnostic Data – Shares diagnostic data with the developers, thus helping them in fixing bugs and glitches. Open Cydia – Launches Cydia. This option is useful if Cydia is missing from your home screen. Get Technical Support – Open the jailbreak Discord server. Check For Update – Checks for updates released by the developer. Download this latest tweak and enjoy its feature and services.